In colder climates, Fittonias can be grown in small greenhouses whereas in hotter climates, they will do well indoors. 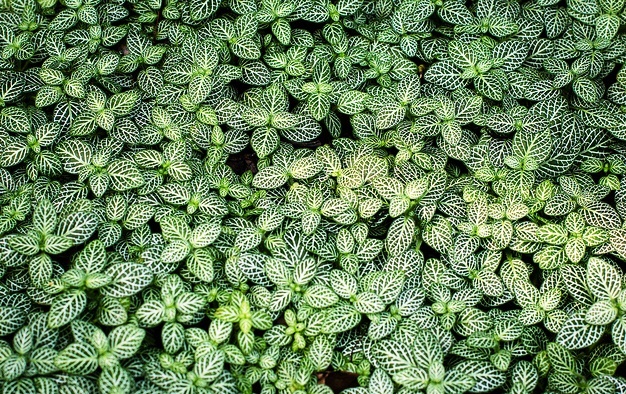 Commonly known as Mosaic Plants, most species of Fittonia are characterized by showy and colorful foliage of oval shape. The lush green leaves are made prominent by white, silver or pink veins. These colorful plants can be grown as creeping ground covers or small trailing plants that require shaded spot, regular watering, and average temperature of 70 F.
Propagation is easy from leaf-tip cutting. The most popular and commonly available species is Fittonia argyroneura which offers a number of lovely verities including: Mini White, Red Anne, Superba, Titanic and White Anne.